There are many ordinances and plans in place through out our area to protect our great oaks. Click on a link below to learn more. Amador County's Oak Tree Retention/Replacement Provisions protect oak trees from being prematurely. The Calaveras County's Voluntary Oak Management Plan was adopted by the Board of Supervisors on February 13, 2007. The goal of the plan is to encourage and support voluntary, long-term stewardship and conservation practices in the management of oak woodlands and their habitat within Calaveras County. 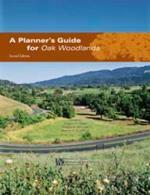 The El Dorado County's Oak Woodland Management Plan was adopted by Board of Supervisors on May 6, 2008. These provisions establish an Oak Conservation In-Lieu Fee for the purchase of conservation easements for oak woodland in areas identified as Priority Conservation Areas. Tuolumne County's Oak Tree Retention/Replacement Provisions protect oak trees from being prematurely. California Rangeland website - Estimating the Cost of Replacing Forage Losses on California Annual Rangeland. Oak Woodland Management - Dedicated to the conservation of California's 10 million acres of oak woodlands.Program develops research information and conducts educational programs on the stewardship of hardwood rangelands. The California Oak Mortality Task Force -Sudden Oak Death - The task force is a non-profit organization that focuses on the effects of Phytophthora ramorum, the organism that causes Sudden Oak Death.